Many people living with IBS feel that they will never be able to successfully manage their symptoms. Despite the challenges, symptom management is possible! 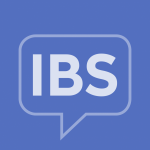 IBS advocate, Emily Downward, shares her experience of how to successfully cope with IBS symptoms.